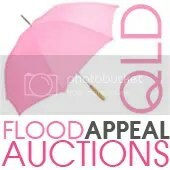 I am sure you have heard about the devastating floods occurring in Queensland, Australia and other areas at the moment. There is nothing that I can say to add to what you already know. Thanks to Toni of Make It Perfect, who has organised a huge master list of all those participating in auctions, raffles and giveaways to help raise money for those in need. I am holding a raffle, because I felt it meant that more people could be involved. To enter this giveaway you must donate $5 Australian Dollars to the Premier’s Flood Relief Appeal. You may enter as many times as you like but each entry / donation must have a separate receipt number. (eg: donate $5 ten times if you want to donate $50- then comment ten times with your receipt number) After you have done this , return here and leave your comment with your receipt number. 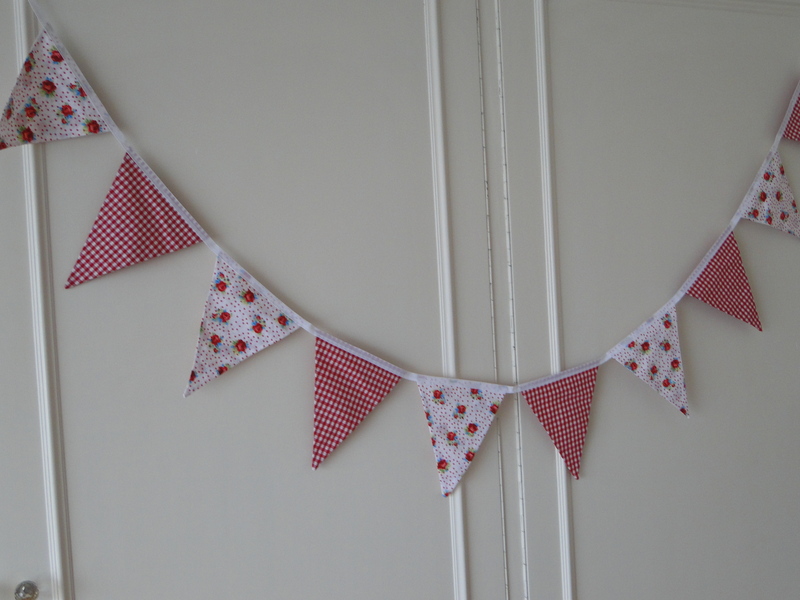 I will be raffling some pretty summer bunting, made from pretty dutch fabric. Perfect to hang around your home at any time of the year to add a bit of sunshine. The bunting is nearly 3 metres long and has 10 double sided flags on it. I am really busy getting ready for an open house I am having this Friday, but I just had to share this with you. Jade at Craft Hope has just posted about Project 5, go and check it out. If you can get involved, please do, or maybe you could get involved in something similar in your town. Well, I have been a bit quiet in Blogland recently, it’s generally been quite relaxed and non-productive round these parts. I think it is the weather. We are in the middle of a heatwave and although glorious, our house is extemely poorly insulated soit is like a freezer in the winter and a sauna in the summer. It certainly isn’t making me want to sew. Mustn’t complain though, I love the blue blue skies and the warm evenings, it is glorious. However, despite the heat, I did get these booties and hankies made quickly today before it got too warm. They are for this wonderful project. Please click on the link and check it out, there are some special children who need your help and you don’t even have to sew. UPDATE: The pattern for the booties can be found here if you fancy giving them a try.